Do you need to have your home exterior cleaned but you do not have the equipment or skills required to do so? Or are you about to have a dinner party but your patio needs cleaning? If that is the case, do not hesitate to call our company. 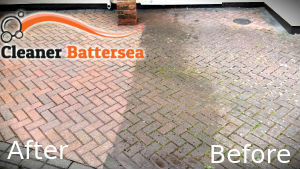 We are a champion cleaning services provider for Battersea and we will give you a very convenient jet washing service. 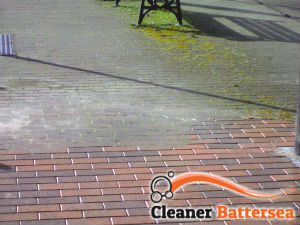 We specialise in jet washing services, and we promise you will not be disappointed with our work. Choose our company for your jet washing service provider and hire us for regular maintenance. We will send you our cleaners as often as they are needed to maintain the good and clean look of your outdoors surfaces. You can hire us for your residential or for your commercial needs. Our cleaners have experience with small and large sized areas. We will clean your home driveway or patio, as well as any hard exterior surface around your office building. Trust us, and call us now. Our cleaners will efficiently get rid of algae and moss, weeds infestation, dust, grime, oil stains, tyre marks, etc. Whether you need your decking, or pathways cleaned, you can call us any time and we will come to the rescue. Our cleaners are experienced and fully equipped with the best pressure washing machines, and will work to a high standard, to leave you with satisfactory results. Call us now and get the best cleaners in Battersea, SW11 and the best jet washing service to help you with your cleaning needs. We promise not to disappoint you.